This blog is based on a talk given at the Wellington MAT inset day on February 10th, 2017, at The Wellington Academy. Robin Macpherson (@RJAMWC) uses the experiences of the Wellington College Peace and Conflict Institute to explain what the value of a super-curriculum is, and how to construct one. Wellington, like many other schools, puts a lot of emphasis on extension, enrichment, societies and guest lectures. This is intended to add intellectual value, and provide additional stretch beyond the regular curriculum. The fact that most schools feel the need to provide this – thus demanding a lot of teacher time and effort – says a lot about the limitations of the regular curriculum. However, providing multiple additional sessions doesn’t necessarily add up to a coherent whole. In fact, it may even confuse and demotivate if pitched at too high a level. We can also learn a lesson from our professional learning philosophy here: one-off, centralised sessions do very little to change practice or enhance skills. What does make a difference is an extended period of learning with a specific focus and outcome in mind. Take the analogy of learning to drive a car. You wouldn’t expect to be a safe driver after a one hour lecture, or a one day course. You would practice for around 40 to 50 hours for several weeks before even thinking of taking the test. If we want to learn something of meaning and worth, we need to commit to it over time and tackle it in depth. This is where I question the value of a scatter-gun approach to extension. Can we expect pupils to learn something of meaning from ad hoc talks and seminars? Looking at school websites that boast of guest lectures and one-off events, I sometimes wonder whether these are designed more with marketing and a prospectus in mind, or perhaps as a way of filling up their pupils’ UCAS personal statements. Extension should mean a lot more than boosting a school’s university entry stats. This even applies to school trips. Fun as they are, do children learn a lot if they have little prior knowledge of where they’re going or what they’re doing? A colleague in the History Department, Jamie Bough, did a lot of research on the value and purpose of trips and her thinking led us to reshape how we approach them. Much like a good Harkness lesson, you need to know something first, otherwise you end up a passenger. Preparing the groundwork is essential, as is the follow up on return to check pupil progress. After all, a trip is a series of lessons – just in a different location. This is where developing a purposeful super-curriculum comes into play. Real stretch and learning can be provided if we prepare extension the way we plan and deliver a scheme of work. Importantly, stretch and challenge also applies to teachers. I firmly believe that for pupils to be inspired, teachers need to be inspired first. This is a great opportunity to teach something that you are passionate about and perhaps don’t get the chance to address in your regular teaching. It also taps into a school’s greatest resource: the collective subject knowledge of all the teaching staff. How much of what we collectively know, as educated and skilled professionals, goes into the delivery of the regular curriculum? This leads to another consideration, which is the opportunity to wrest back control of what is taught in schools from politicians and universities. This is a great opportunity to develop teacher autonomy. My final axe to grind here is that most schools speak of holistic education in the sense of creating rounded individuals, and imply that this means more than a narrow focus on academia. We then tend to see lots of pictures of pupils engaged in non-academic activities to underscore this point – here they are, becoming better human beings. I argue that academic and holistic are not antithetical. If we want rounded people, we need to start in the classroom, and we need to consider what values we put into the curriculum. This is not considered enough in my subject, history, and I doubt whether other subjects like science and maths cover values and decision-making much either. So how to do it? The first important question to ask is this: in your area of expertise, what does the regular curriculum not cover that it should? If you can identify an obvious need, then start with that as your focus. Secondly, how can you turn this into a programme of study that will lead to deep-seated understanding of concepts, content and skills? Finally, how does this fit in with the context of your school? What ethos and values do you espouse that can be strengthened in your bespoke programme of study? The problems you face are usually two-fold: time and resources. Of these, time is the bigger issue. Your working week will already be packed, as will that of your students. However, if you’re asked to lead a co-curricular activity, seize this as an opportunity. Also, most resources are free and it’s amazing how people outside of your school community will gladly give of their time if you are promoting something which they consider vital, and have never been asked to come into a school to help with. There are also a lot of educational charities with outreach programmes that are ready to support you. 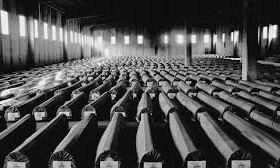 To give two examples, I have worked with Facing History and Remembering Srebrenica and have found them to be outstanding. The experience I’ve had with the WCPCI has been superb. I set this up with two colleagues, Tim Novis and Rob Murphy, after a Holocaust Memorial Day talk a couple of years ago. We realised that trying to teach a massive and important concept like genocide by a one-off event each year was ineffective. In fact, by giving it such limited treatment it may even be damaging by downplaying its significance in the minds of pupils. Our discussion moved on to the absence of peace studies in the curriculum. It’s easy to look at the causes and impact of war, but what of peace processes? We only tend to look at these when they fail – see the ad nauseam teaching of the Treaty of Versailles. We therefore decided to set up an institute which would study a conflict and subsequent peace process in depth, and then visit that place to apply what we had learned in the classroom. 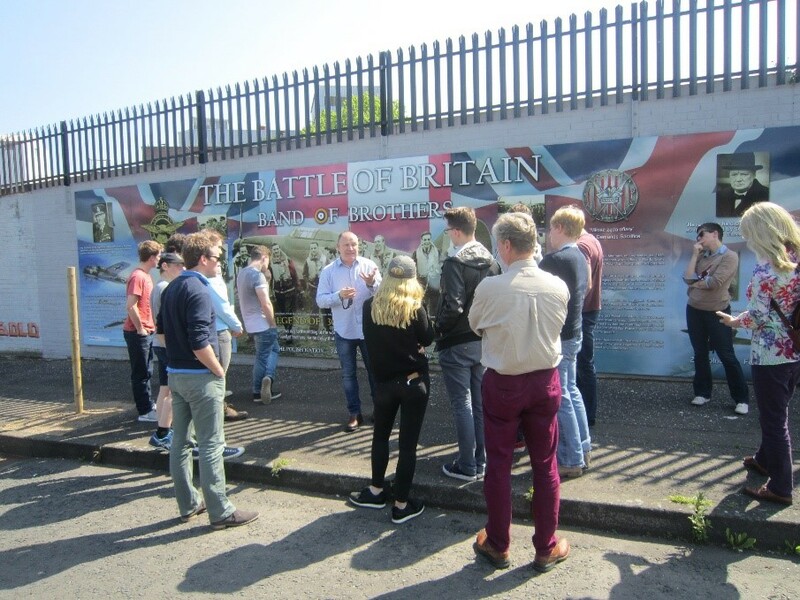 In 2015-16 our focus was the Troubles in Northern Ireland, which culminated with a visit to Belfast. There we met with former terrorists from both republican and unionist sides, and also spoke with people who had lost loved ones to terrorism. 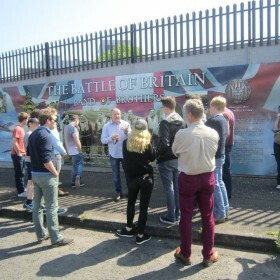 We visited Stormont and various museums (such as the Crumlin Road jail), and took a walking tour of Belfast to look at the memorials and murals that mark the city. A particular highlight was observing an Orange Order parade that was refused entry to a Catholic area by riot police. After returning, we spent time with pupils reflecting on the process and they presented at the Telegraph Festival of Education. Overall it was a powerful experience, and seeing pupils put difficult questions to people who had killed for a cause was something new for me. It resonated on a level that told us we were doing something right. This said, we made several mistakes. There were two main ones. Firstly, we forgot to set up meetings for our pupils with people their own age. The Good Friday Agreement brought an end to the Troubles, but the future is problematic as most of Belfast’s schools are de facto segregated by religion. How do young people, who grew up after 1998, see their future? Secondly, we realised that we had spread the learning element too thinly across the year, with sessions every two or three weeks. This meant some pupils, who attended all sessions, were very well versed in the Troubles and Good Friday. Others, who missed one or two sessions, had long gaps without focusing on the major concepts. Some were therefore less secure in their understanding and found it too challenging. 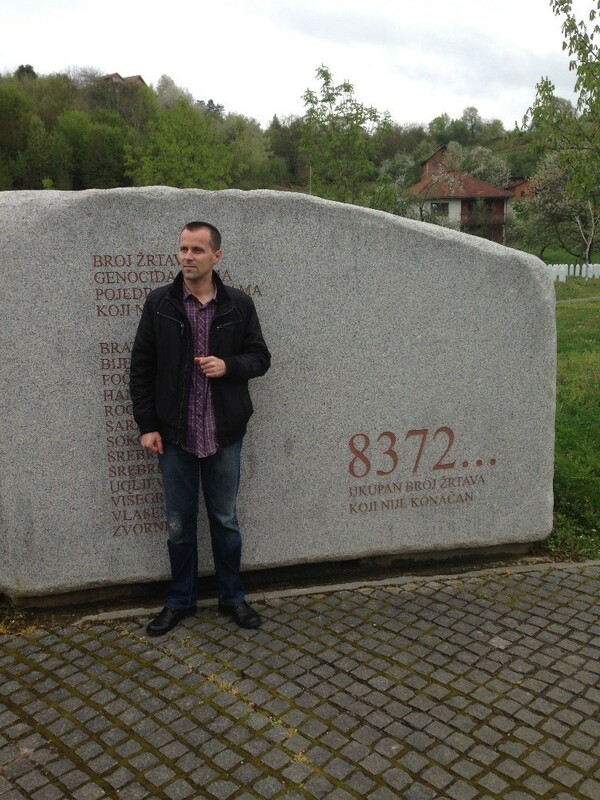 This year we have been studying Bosnia and will visit Sarajevo and Srebrenica in March. 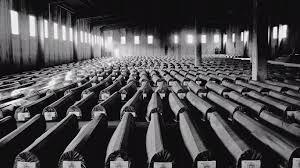 The charity Remembering Srebrenica is helping us with the trip, and I went on their educators’ tour last year, which means I know the trip logistics and risk assessment side of things very well. To address our mistakes we condensed the programme of study, with some reading and viewing materials given in Michaelmas and then weekly sessions in Lent. On the trip our pupils will spend time at the Sarajevo School of Science and Technology to meet with Bosnian teenagers to see what life has been like for them growing up in the post-Dayton world. We also hope to be able to film our experiences in a video essay, which will enhance the presentation at Ed Fest. In 2018, we are looking to work with Sandhurst School to take a joint trip to Rwanda. They are experts at this and very far ahead of where we are in terms of a whole-school approach to a super-curriculum and ethos. Working with them will be an education in itself for our staff, as well as the pupils. 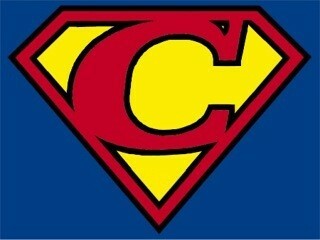 The future is very exciting and will, I hope, give our WCPCI pupils the best experience of their educational career. I hope this has given food for thought. We do need to add value and enrichment beyond the curriculum, but how we do this matters a great deal. As teachers we don’t have time to expend on preparing things that have minimal impact. If we structure what we offer it will make a massive difference, to both ourselves and our pupils.